Our company is ready to respond right away to your emergency call. We have the experience and equipment to repair leaks and damage of all varieties. 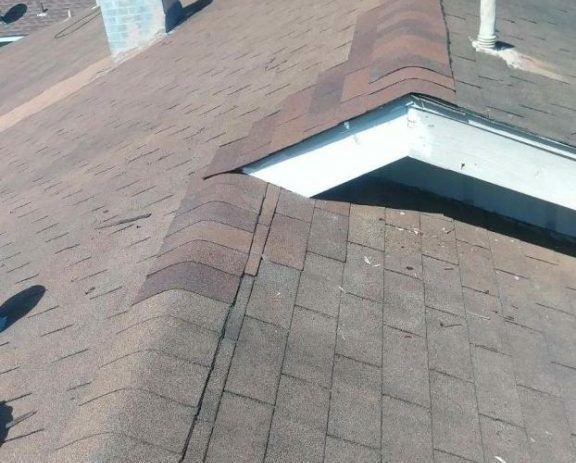 Whether your roof has sustained a minor leak or started to collapse, you can trust our company to arrive quickly and get the job done right. In the event of an emergency, safety is an issue. It’s important that you don’t go up on the roof yourself. 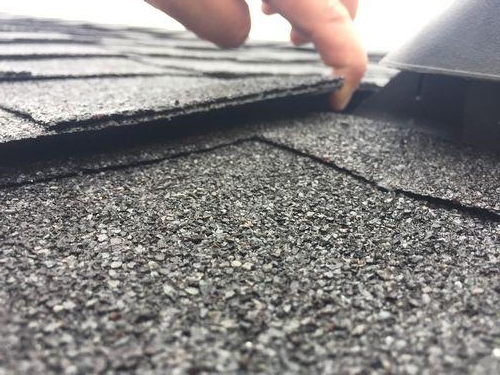 If you can protect the interior of your home with plastic sheeting and visually inspect the roof from the ground, you’re off to a good start. The most important thing to remember is to call our company right away and we’ll take care of the rest. 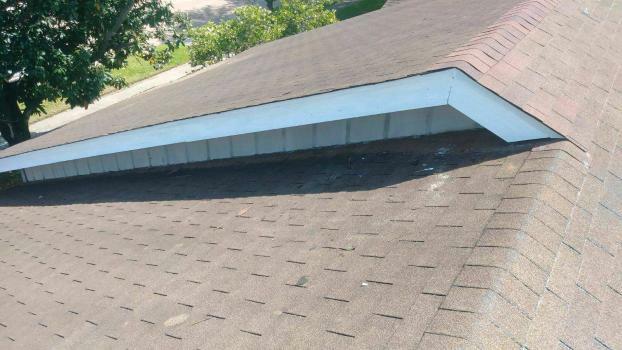 Contact us to receive our emergency roofing services. We proudly serve customers in Greater Houston, TX. SEVERAL AREAS OF THE ROOF NEEDED REPAIRS. CUSTOMER HAD LIMITED CASH FLOW, BUT NEEDED IMMEDIATE REPAIR TO REDUCE FARTHER INTERIOR DAMAGE. WE WOULD WORKED WITH THE CUSTOMER TO EXPEDITE THE REPAIR AND WITH PAYMENT SCHEDULE. 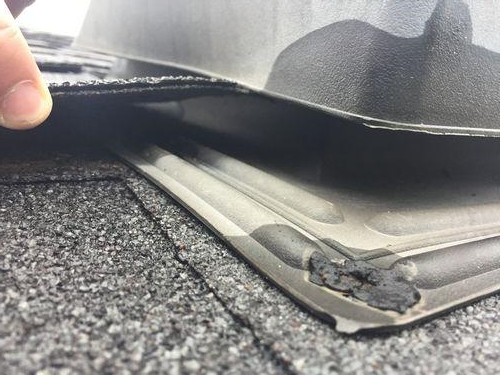 CUSTOMER WAS EXTREMELY SATISFIED WITH THE REPAIRS AND PLANS TO USE ON A POTENETIAL RE-ROOF. 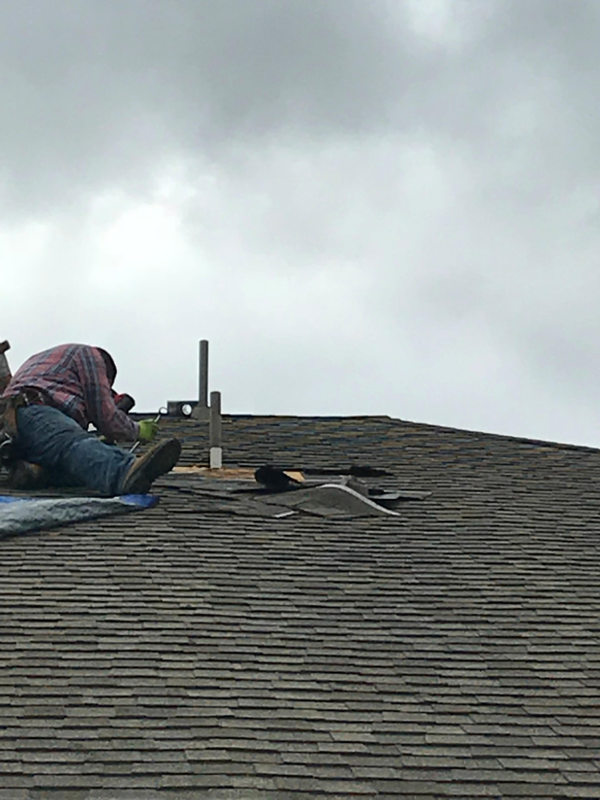 REPAIRS PERFORMED ON A LEAK AROUND AIR HAWK VENT. CUSTOMER CALLED US ON A SUNDAY AFTERNOON AND WE INSPECTED THE PROBLEM 1 HOUR LATER AND THE REPAIRS PERFORMED EARLY THE NEXT DAY. CUSTOMER HAD A LEAKING EXHAUST VENT. CUSTOMER CALL US ON A SUNDAY AFTERNOON AND THE REAPAIR WAS COMPLETED EARLY MONDAY MORNING. CUSTOMER WAS VERY HAPPY WITH OUR QUICK RESPONSE AND REDUCING THE RISK FOR FARTHER INTERIOR DAMAGE. CUSTOMER HAD A LEAKING PIPE JACK. THE REPAIR WAS COMPLETED WITHIN 12 HOURS FROM RECIEVING THE CALL. 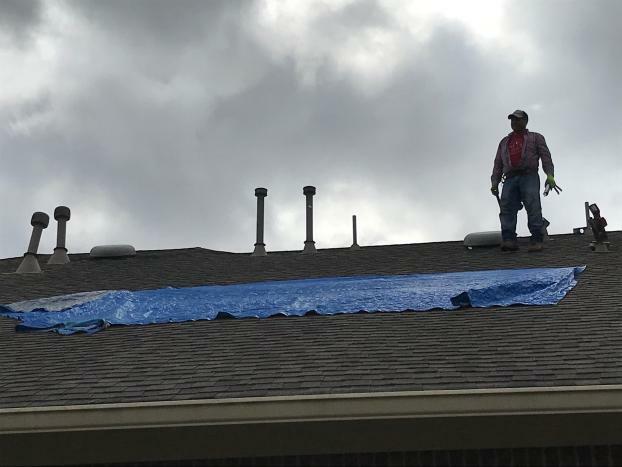 PRIMETECH WORKER INSTALLING A TARP BEFORE A RAIN STORM HITS.